What’s Smartest? Systems That Help Humans. Like the traffic jams they seek to eliminate, the list of regions claiming "smart city" status grows longer and more congested by the day. What if an objective definition could be reached, and relevant data analyzed to find out whose claims were most legitimate? 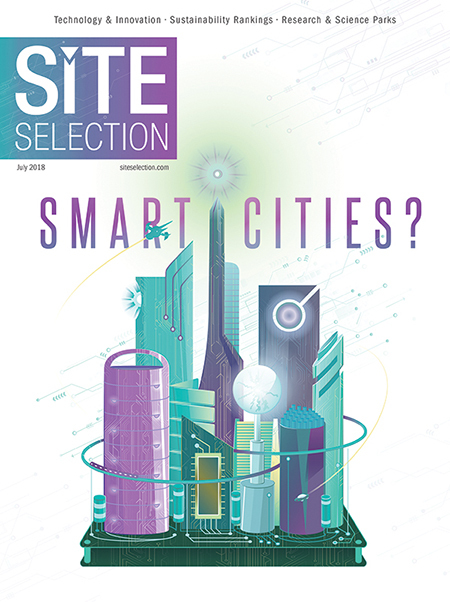 Tracy Hadden Loh, a data scientist at the Center for Real Estate and Urban Analysis at the George Washington University School of Business, says a smart city is characterized by data-driven city management, whether via sets of big data from smartphone apps or from longstanding sources that cities are learning to use in new ways. An Intel-sponsored study by UK-based Juniper Research makes a bold attempt of its own: "A Smart City is an urban ecosystem that places emphasis on the use of digital technology, shared knowledge and cohesive processes to underpin citizen benefits in vectors such as mobility, public safety, health and productivity." You've probably encountered smart-city elements here or there in your daily life, driven by sensors in everything from your refrigerator to streetlights, traffic lights, transit vehicles and power stations. The Juniper research takes account of all that technology, but redirects the focus back to its original purpose: to enable human beings to simultaneously be more productive and retrieve more free time. "Analysts tend to focus on the technical underpinnings of building a data-centric world," says Windsor Holden, head of forecasting and consultancy at Juniper Research. "We can't overlook the importance of the real human benefits that smart cities have." Juniper says smart cities have the potential to give back 125 hours to every resident every year. The study ranks the top 20 smart cities worldwide (see p. 36) across four key areas: mobility, health care, public safety and productivity. Chicago, London, New York, San Francisco and Singapore, are the world's leading cities integrating IoT technologies and connected services. Steffen Sorrell, a senior analyst with Juniper Research, says the ultimate idea of a smart city is to "increase the mobility of a city, and in turn increase its competitiveness." Juniper ranked Barcelona the top smart city a few years ago, for example, but, Sorrell says, "When you go to the citizens to talk about it, they don't know what it is, and they ask, 'What's in it for us?' That's how we came to work with Intel, in order to ask, 'What is a smart city aiming for, what should its goals be, and what does it mean for a person living inside that city?' "
The Juniper team purposely took a global view, selecting cities from every world region in order to compare then, but not attempting to make an exhaustive list. Sorrell says one of his first experiences of smart-city technology's usefulness was the London CityMapper app, whose slogan is "Making cities usable," and which bills itself as nothing less than "the ultimate transport app." More cities are hopping on board with such apps, from Berlin and Barcelona to Helsinki and San Francisco. It's all about moving toward mobility as a service. "Take the idea begun with CityMapper, but create a policy where transport providers integrate their service and performance into a common platform for the city dweller or commuter," he says. "It essentially becomes the Netflix of travel. And hopefully we will build in reduction of congestion as well as private vehicle costs." Among Sorrell's global observations is that policy constraints in North America and Europe mean projects move much more slowly than in Chinese cities. "Because they have this top-down structure, things will get done," he says of China. "Whether for good or bad, the project will get done and budgeted for. That's probably one of the reasons Singapore is so far ahead of the game, because it's a city-state. It doesn't have the constraints other countries and cities have." Could a smart city paradoxically increase the digital divide or income inequality? Sorrell says it's a concern. "You could arrive at scenarios where in some cities only those who own smartphones or have a data plan are able to benefit. One of the key things to focus on in smart city development is to try and make sure citizens are not locked out from the benefits." That applies especially in developing regions, he says, but also in world capitals such as London: "There is still that divide that must be addressed." Can You Be Dense and Smart at the Same Time? Juniper and Intel aren't the only ones suggesting that "smart" encompasses at least as much humanity as it does digital undercurrent. Research from the Urban Land Institute (ULI) and the Coalition for Urban Transitions, released by CBRE Global Investors in June, shows that smart urban development is synonymous with well-designed, compact cities. The Juniper Research study sponsored by Intel ranked the top 20 global smart cities according to their performance and project deployments across four indices, alongside their published strategies and key goals for future city development. "Based on a quantitative analysis of 63 global cities, the report finds that cities with characteristics of 'good density' are associated with higher returns, capital values, and levels of investment for commercial real estate," ULI stated in a release. "It identifies six measurable characteristics associated with 'good density': clustering structure (land use patterns within cities and regions), economic and employment infrastructure (availability of investment, jobs, and talent), built infrastructure (physical density and mixture of uses), green and blue infrastructure, public transport infrastructure, and good governance. A June report from the McKinsey Global Institute, "Smart cities: Digital solutions for a more livable future," assessed how smart-city applications could affect safety, time and convenience, health, environmental quality, social connectedness and civic participation, jobs and the cost of living. The report points out, "Becoming a smart city is not a strategy for job creation, but smart solutions can make local labor markets more efficient and slightly lower the cost of living." Among the benefits, "digitizing government functions such as business licensing, permitting, and tax filing can free local enterprises from red tape, contributing to a more entrepreneurial business climate." Among the most advanced are Amsterdam, New York, Seoul, Singapore, and Stockholm. When gauged by mobility apps implemented, London, Los Angeles, New York, Seoul, Shenzhen, and Singapore had the highest number overall. One example of smart-city ambition can be found in Columbus, Ohio, which received a $40-million federal grant as the winner of the U.S. Department of Transportation's Smart City Challenge in 2016. In May, the city unveiled its Smart Columbus Operating System (www.smartcolumbusos.com) in order to "ingest, aggregate, fuse and disseminate mobility data from sources across the city." The Hong Kong government is investing HK$700 million (US$82 million) in "Smart Mobility," "Smart Living," "Smart Environment," "Smart People," "Smart Government" and "Smart Economy." Among the specific programs under those six planks: facial biometric technology incorporated at key checkpoints at Hong Kong International Airport; fintech initiatives; and the launch of a fast-track talent admission scheme in 2018 to admit technology talents from overseas and mainland China. The Intelligent Community Forum in June named Espoo, Finland, a city of 270,000, as its 2018 Intelligent Community of the Year. Among the reasons was the 2010 decision by Finland's Parliament to declare that access to 1 Mbps broadband is a legal right. Today, Finland ranks second in the world for mobile broadband adoption, according to the OECD. It is also one of the leading countries in Europe for ultra-broadband adoption, with more than 50 percent of households having access to a fixed connection of 100 Mbps. LuxTurrim 5G, a three-year pilot project, engages Espoo companies and research institutions in evaluating smart light poles as transmitters for 5G, the emerging mobile standard. Launched in the spring of 2017, the project aims to create a proof-of-concept for the technology integration and then to start building an export business for the city's partner companies. The ‘roboat’ project — a research collaboration between MIT and AMS, the Amsterdam Institute for Advanced Metropolitan Solutions — seeks to design and test the world’s first fleet of autonomous boats in the city of Amsterdam, recognized by many as a model for smart cities of the future.